What if you have a bike accident? Some tips on how to respond appropriately but also how to avoid one in the first place. Prevention: always make sure you are visible and have insurance. You fall off by yourself: all you need is a good doctor, insurance and a bike repair shop. Another person is involved: do not forget to make an accident report! 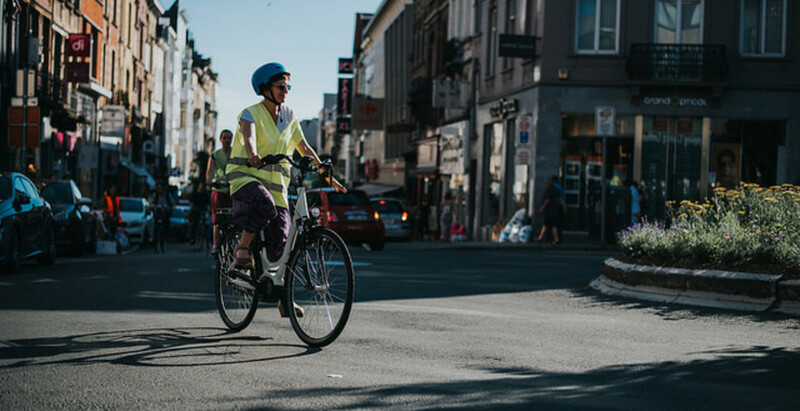 On a daily basis, make sure that you are visible and are riding a bike that has all the equipment required by law and is in full working order. In addition, gain confidence by deepening your knowledge of the highway code and the rules on how to position yourself in traffic. If necessary, get coaching sessions. In Belgium? Take out a family civil liability insurance. In the case of an accident for which you are to blame, this will cover the damages that you have caused to others. Lastly, always carry an accident report form with you. For any physical injury, call the emergency services or go to your doctor or to hospital. Your medical expenses will be reimbursed by your health insurance plan ! !the idea of a “mutuelle” doesn’t exist in the UK – is this close enough?!! while material damages will be entirely your responsibility. If the accident takes place on your way to or from work, your employer’s insurance will cover your medical expenses. In the case of serious physical injuries, call the emergency services straight away and possibly the police. For road users mildly injured in accidents involving a car, the medical fees are automatically covered by the motorist’s insurance. If the accident takes place on the way to or from work, the employer’s insurance will cover the damages caused to others as well as the medical expenses. Nobody is hurt? Start by taking the contact details of potential witnesses and reiterate them in the report. Then carefully complete an accident report together with the different parties concerned (backed up by ID cards). If there is disagreement about the circumstances of the accident, call the police. As a matter of fact, the report will provide the basis to the insurance companies for them to establish the responsibilities of the people involved. It is therefore important that this is written up accurately.